The thyroid gland is the Master and Commander of many bodily processes. Surrounding the windpipe at the base of the neck, it produces a number of hormones, primarily thyroxine. Thyroxine is essential to sexuality in women, providing a glandular link between the brain and the organs of reproduction. The other principal thyroid hormone is calcitonin, which inhibits the release of calcium from bone and plays a central role in maintaining both calcium balance and strong bones. The thyroid gland directly influences circulation, respiration, and tissue growth and repair. 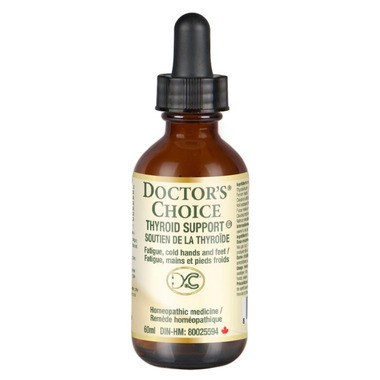 This is a homeopathic remedy used to help relieve symptoms such as weakness, fatigue, cold hands and feet, dry skin, and chilliness, all of which speak to an imbalance in thyroid gland function. Relieves symptoms of thyroid imbalance such as: weakness, fatigue, cold hands and feet, dry skin and chilliness. Be sure to consult a health care practitioner prior to using this product, if you are pregnant or breastfeeding.